WE’RE BEING HEALTHY TOGETHER @ this year’s East Gippsland Field Days! Do you have a question for your local community health provider? Would you like to learn about free health services that may be available to you? Visit our ‘Health Precinct’ (F13-15) this Friday and Saturday where friendly staff from your local health and wellbeing services will be on hand to answer any questions. 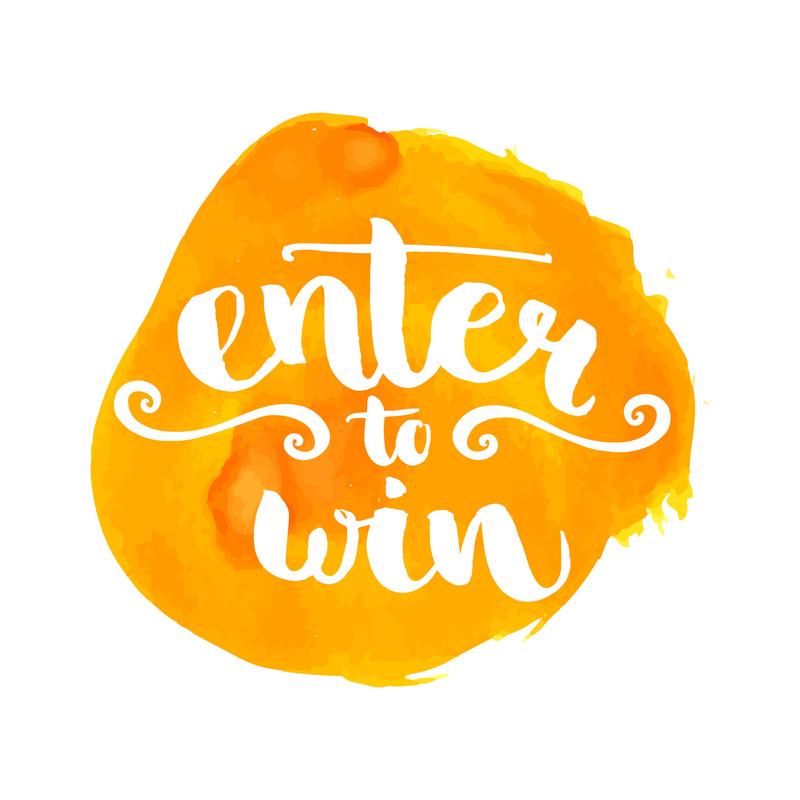 There is lots’ on display, fun activities for kids and loads of giveaways and chances to win a Fitbit, Juicer, 48″ HD TV, giftcards and more!! GLCH is running two competitions at this year’s East Gippsland Field Days. Check the back page of the Field Day Supplement (Monday’s Advertiser and Wednesday’s Lakes Post and Snowy River Mail) for our Crossword competition; and/or tell us what you think about Private Home Care Services via a brief survey at the event. Did you know that our Children’s Centre offer a HUGELY successful Vacation Care Program over the school holidays? 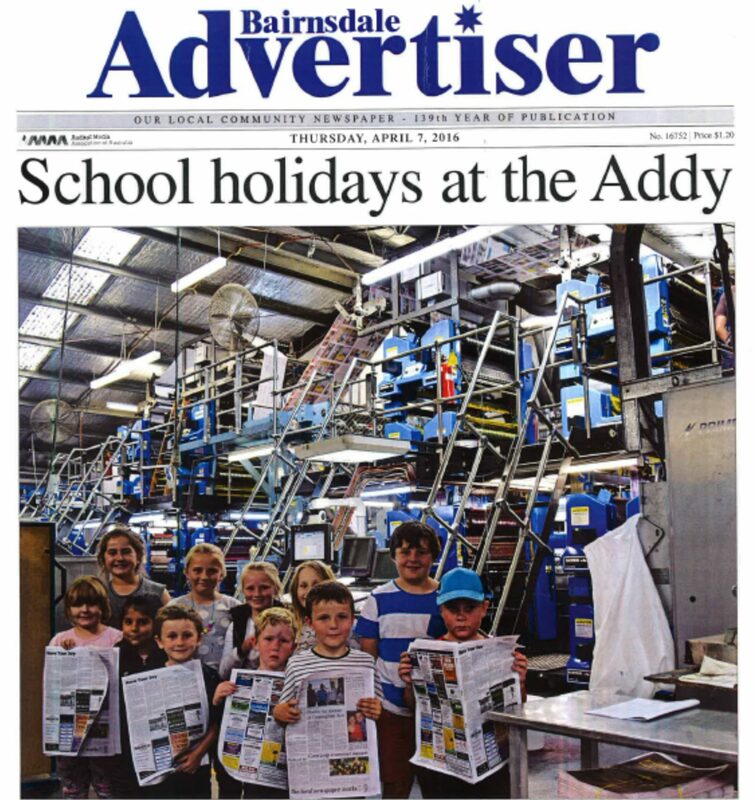 Last week our educators took a group of children to Bairnsdale for the day, where they spent the morning at Bunnings making their own pencil boxes or carry tray, followed by lunch and play time at the All Abilities Playground and a visit to the Bairnsdale Advertiser to see how their local newspaper is made. Newspaper editor Luke Robinson, told the children about their publications and circulation, and demonstrated how the journalists and editorial staff put the newspaper together several times a week using a computer. Luke walked the children through the print room and showed them the plate machine and all the paper they use. The children were even lucky enough to see the middle section of the newspaper being printed and bundled together. Safe to say that everyone who attended had an awesome time, including our educators! If you would like to find out more about our Vacation Care Program including how to enrol your child for the next round of school holidays, please contact our Children’s Centre on 5155 3946. Big thanks to Bunnings Warehouse and Eastvicmedia for having us. We’re your local home care experts! The aged care team at Gippsland Lakes Community Health (GLCH) are your local Home Care Package experts, offering a broad range of support services for older people who want to stay in their own home. The Home Care Packages program is funded by the Commonwealth Department of Health and can be accessed via the new My Aged Care national call centre or website. “My Aged Care is the Australian Government’s new aged care system, designed to give people more choice, more control and easier access to a full range of aged care services in their local area such as domestic assistance, Meals on Wheels, personal care and respite – all these services and more are provided by the aged and disability team at GLCH,” said Ms Smith. 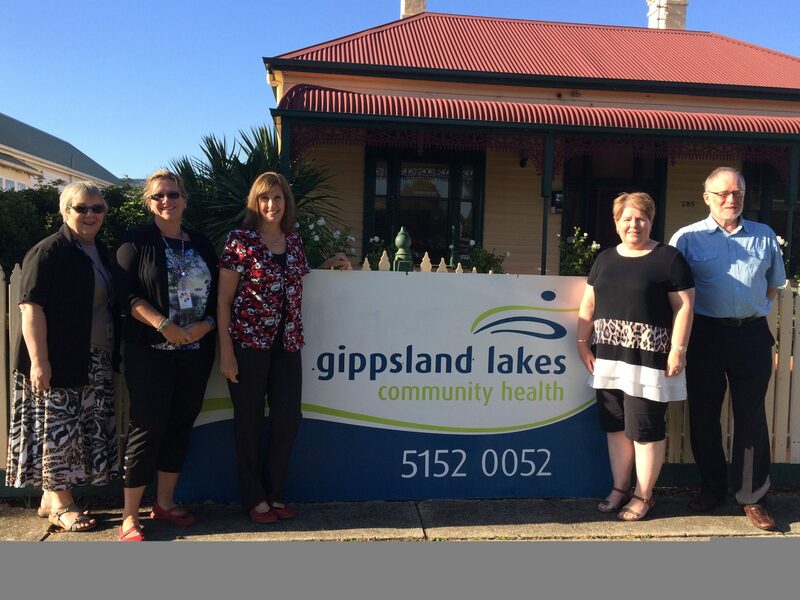 “GLCH has been providing quality health and wellbeing services to East Gippslanders since 1975 and is a major provider of aged and disability services in East Gippsland. We provide packages for people with low level care needs to high level care needs and ensure access to all East Gippslanders including rural remote residents and members of the Veteran and Aboriginal communities,” Ms Smith added. With offices in Lakes Entrance, Bairnsdale, Metung, Nowa Nowa and Bruthen; and outreach services to surrounding areas, GLCH offers a knowledgeable team who are ready to assist people with their aged care enquiries; and step people through the types of information My Aged Care will require to assess their needs. Staff are also available to speak to local community groups about home care packages, the services GLCH provides and other government programs and initiatives. Pictured L to R: The GLCH Home Care Packages team – Vicki Nuyens, Kim Webster, Debbie Smith, Deidre Calvert and Tony Peck.